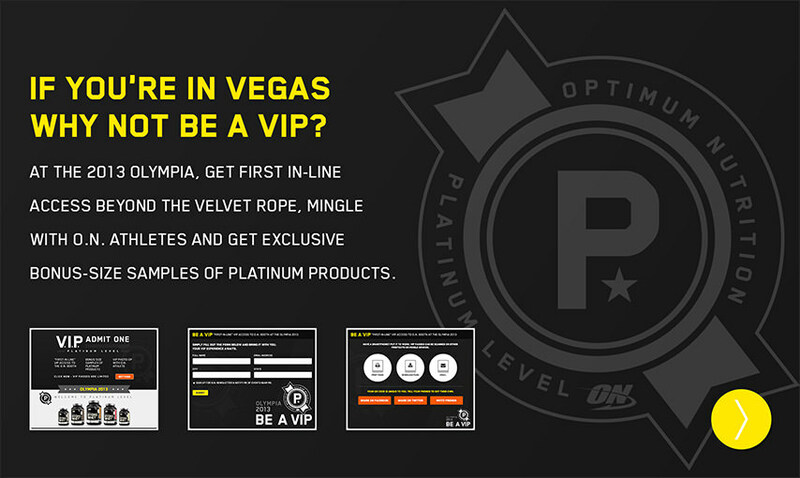 Optimum Nutrition was participating in the Olympia 2013 in Las Vegas, Nevada. The ON both is known for being very popular and having long lines. 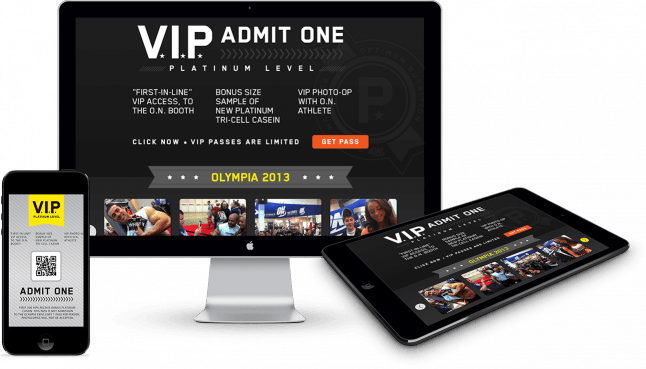 In order to reward their loyal fans, ON wanted to create an app through which a limited number of fans could sign up and get VIP treatment. This means they would get to skip long lines and win several prizes at the booth. 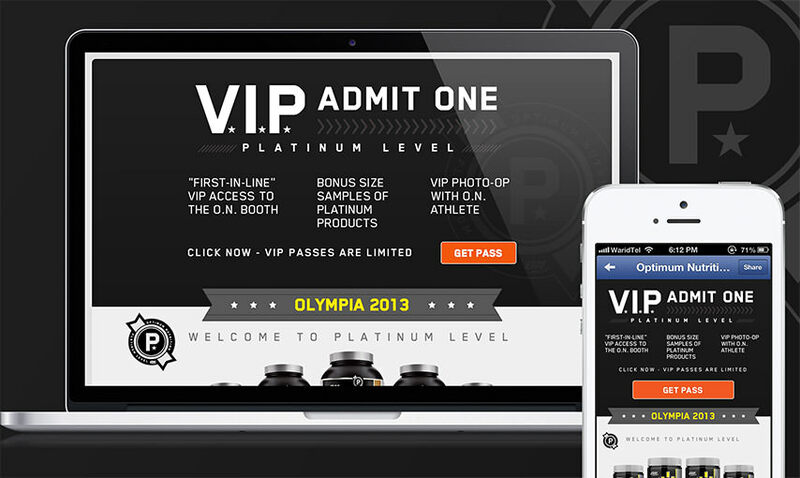 Facebook Fans of Optimum Nutrition would be able to visit the Facebook app and generate a VIP pass for themselves. 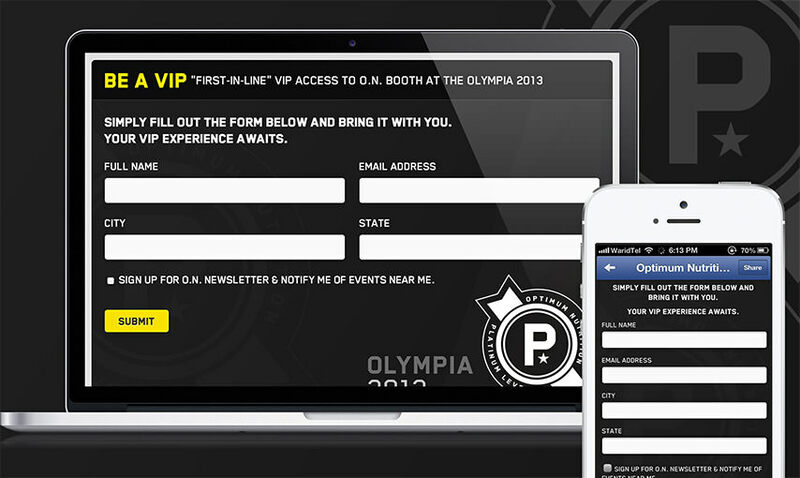 These passes were limited to only the first 1000 people. 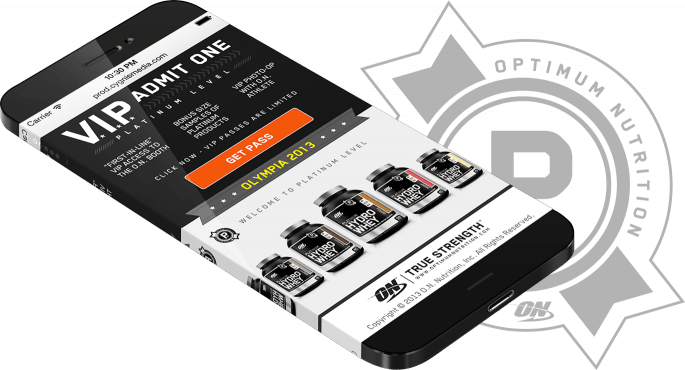 They would then have a QR code which they could either print or send to their phone. This QR code would then be scanned by the booth personnel using our custom developed iPhone app which would allow them quick access to the booth and to the prizes. 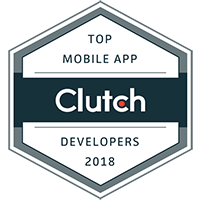 The 1000 passes were claimed within hours. No one could have anticipated how desperately the ON fans wanted this feature. 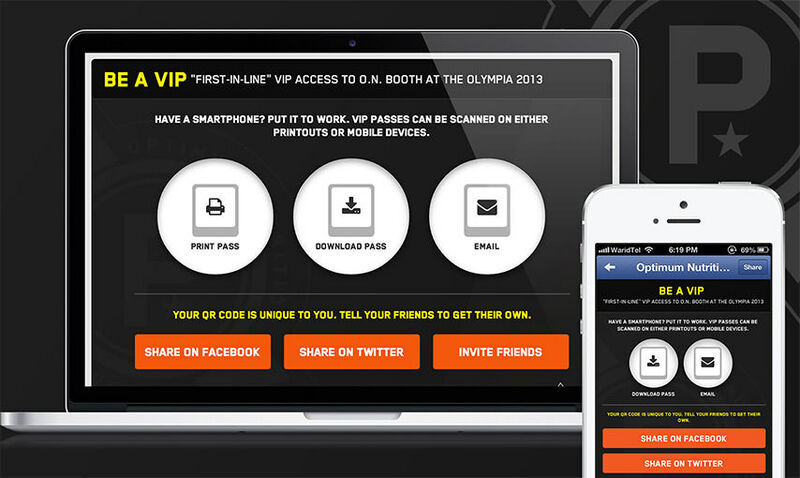 Upon getting in to the ON booth using their VIP passes, over 700 of the 1000 users shared the news on their timeline.